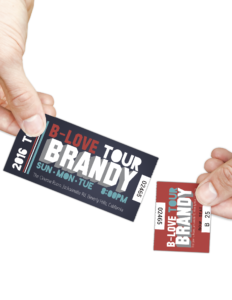 Branded event tickets can help both organize and promote events of various sizes, ranging from community homecoming activities, networking events, to charity galas. When done right, they will help rev up the excitement for your event, while keeping track of your attendees for future planning. But if you want to maximize their effectiveness, you have to approach the design and printing of your event tickets strategically. These seven steps help you do just that. And don’t worry—your printing partner in St. Louis can help you with each of them. 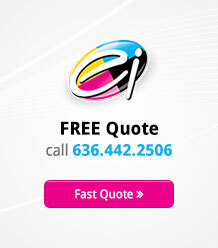 You should start every printing process with a precise goal in mind. Once you define the exact event for which you will use your event tickets, and what you hope to achieve with them, you will have a better idea of the scope of your project and will be able to make better decisions down the line. A charity event, for example, probably attempts to reach a higher-scale audience than a homecoming activity would. Both aim to inspire action, but the nature of that action—supporting a financial cause versus raising team and local spirit—is markedly different and will influence the rest of your design and print choices. Next, plan the size that would be ideal for your ticket. You can choose from a range of sizes for your ticket, depending on your individual preference. Here, it’s important to keep your goal in mind: should the ticket fit in a wallet or should it become a branding piece that your audience will keep long after the event? For the first, smaller is better; for the latter, larger sizes are optimal. Having chosen the size, you should first determine whether you want the ticket to be landscape or portrait-oriented. Studies show that this choice is very important in influencing audience perception of your brand, so a strategic approach is highly recommended. As a general rule, your choice between a landscape or portrait orientation should come down to the information you try to include on your ticket. More content (such as a longer event title or additional event description) fits best on a landscape orientation. The art or image you want to include on your picket should also influence your choice, as your ticket should be as visually striking as possible. Depending on your event, you may also want to include a tear-off section that helps you keep track of attendance. Specifying where this section will be crucial at this early stage of planning, as it will influence both your design choices and where your printer will add the micro perforation. Once you know your ticket’s general layout, it’s time to add in the specific content. This will include both the text and the graphic elements. At a minimum, the ticket should include the event’s name, along with its location and the time and date on which it will take place. Ideally, it should also include branding elements—your company logo, perhaps the tagline or slogan, or even a short, one-sentence description of the event. As alluded to above, visual elements are also important. Event tickets are a branding opportunity, but no audience will display them if they include little more than text. Instead, include images or other graphic elements that help the design stand out. You should never print event tickets without including unique numbers on each one. This will allow you to track attendance at the event at the time of sale, which will become invaluable should you repeat the event in the future. But more on that later. When including numbers on your tickets, be sure that they are sequential, which your local printing partner can accomplish using variable data. This simply means that each ticket has a number one higher than the one above, with makes keeping track much easier. It sounds simple, but it’s important. The final step before printing your event tickets should be choosing your material. Here, you can pick between various thickness levels, which could also be considered a design choice. A thicker paper, though more expensive, makes the ticket stand out more in your audience’s hands. Regardless of the thickness you choose, you should almost certainly go with a gloss cover, which is often achieved through varnish coating. Event tickets without this gloss coat simply don’t have the same professional effect and feel. Finally, as with any type of marketing initiative, plan some time for evaluating the success of the event through your tickets. At the very least, this means keeping track of each ticket you sold, which is made easier by including the numbering system mentioned in step five. You can use that information to optimize your event planning for the next time. But evaluation can go further. For example, consider matching each of the tickets to individual event registrants through its unique number. Now, you can begin to evaluate common characteristics about your attendees and no-shows, which helps you better focus your efforts for future events. Printing event tickets can seem simple: you plan an event, so you run off some tickets to give out to your audience. But to truly take advantage of the many benefits of branded event tickets, you need a strategy.